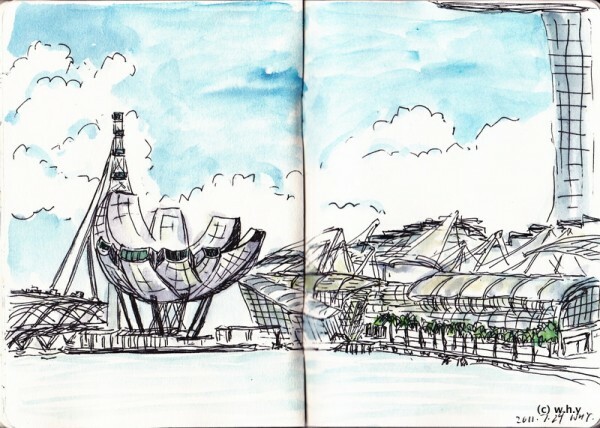 Went sketching at Marina Bay last Friday. 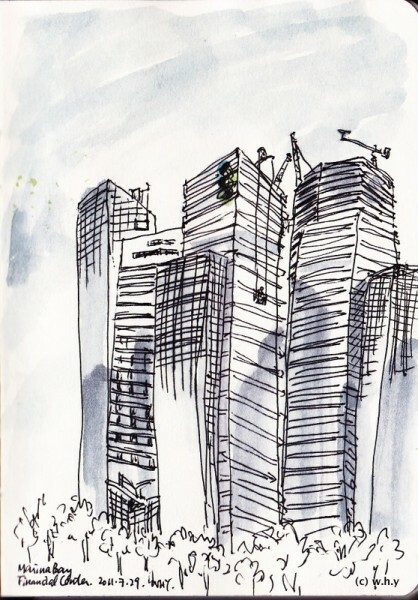 This is the Marina Bay Financial Center, a very tall building. It seems that there are still some constructions going on. 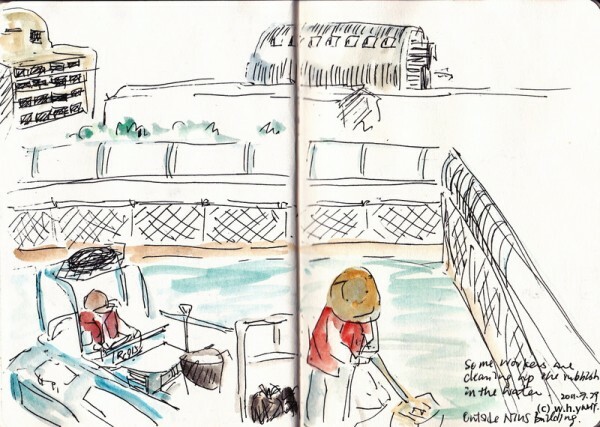 There is a reason why the water is pretty clean – there are workers working hard to collect rubbish. 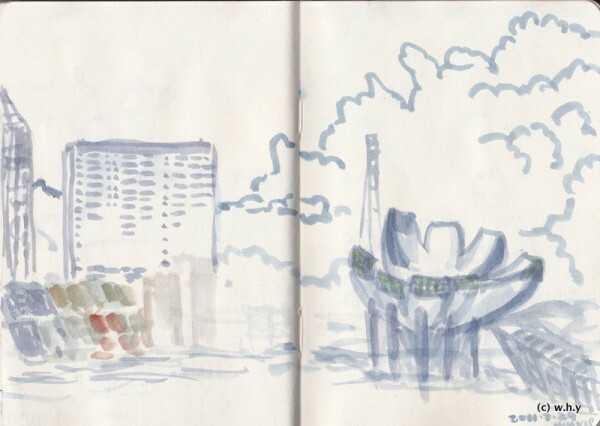 This is the Custom House, there are a number of bars and restaurants there. 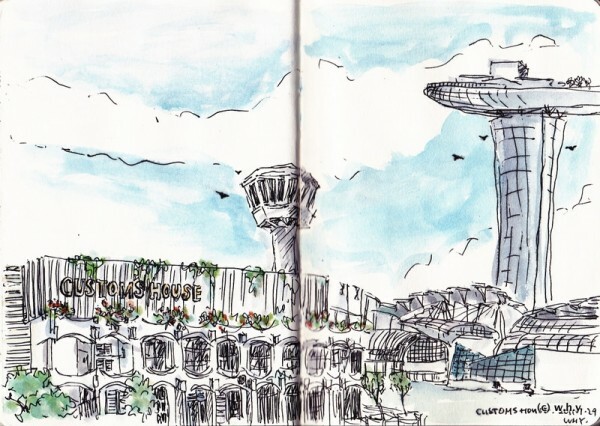 There isn’t much people in the afternoon, but I can image how lively it’ll be after dark. 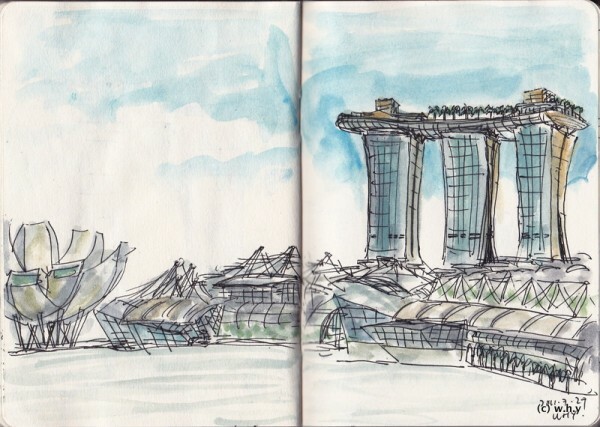 I found a shady spot with nice views at the end of the Custom House that overlooks Marina Bay Sands. 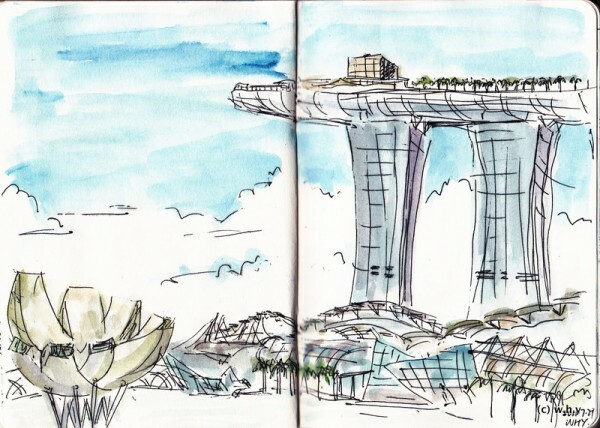 The view is so great that I keep sketching the Art Science Museum (The Lotus) and the Marina bay sands (The Ship) the whole afternoon.